Last month I was in Christchurch and took the opportunity to visit some primary schools including an intermediate. 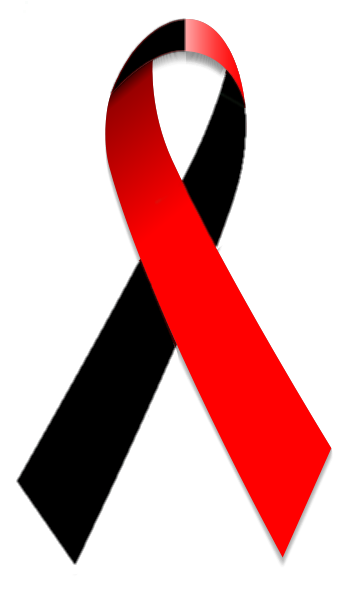 It happened to be September 4th, four years to the day since the earthquake sequence began. I spoke mainly to principals and wrote a few notes. They are obviously only impressions from a short visit but I thought they would be useful to share, especially for those of us who don’t live and work in Canterbury. The first thing to emphasise is that just as ‘The Press’ reported last month that only 10% of the rebuild was so far complete, quake-related problems in schools are by no means over either. Instead they trundle on and on and manifest in different ways over time. A central problem is that many staff are exhausted after years of dealing with the problems at school as well as their own family and housing problems. As one principal put it, ‘There’s not a lot left in the tank’. It’s been hard for principals to get a proper break too. In the post-quakes scramble for attention and resources they needed to be constantly available at the end of a phone. I was told that at a recent event for Christchurch schools, the amount and quality of work was down 20% on what schools had submitted in the past. While the pressures have been relentless, those who work in schools don’t complain much. In Christchurch it is unexceptional to have quake-related problems. On the fourth anniversary of the initial quake, ‘The Press’ reported that babies born that fateful day in Christchurch were thriving. That may be so, but principals reported that many of the children arriving at school over the last few years have presented extra challenges. Oral language skills have declined, perhaps telling a story of parents being more distracted than usual. Children have also been less independent, suggesting parents being highly protective after the quakes. With many stresses including anxieties around their children, Christchurch parents have also become more difficult for schools to deal with. Families are less invested in their local schools as many have had to move house permanently or at least temporarily. Parents often can’t afford the school trips and other extras they once could. There is erratic behaviour and chippy attitudes from some parents that leave schools wondering ‘what was that all about?’ Sometimes parents have gone to the media and had their concerns blown out of proportion or ’spun’ in ways that are not constructive. It is in the more middle class school settings that these changes are being felt the most. I visited a low socio-economic school on the eastern side of the city where life for families has long been highly uncertain anyway. For many Christchurch families the way forward in creating social mobility for ones children is not as certain as it once was. Old rules of middle class advantage that had come with living in particular parts of the city are being rewritten. Some schools are closing and others have become unusually oversubscribed as new housing developments have sprung up. In this situation there is often increasing competition between schools. Zoning and enrolling children from beyond the ‘natural’ catchment of schools has become a concern for many principals. Most are still seeing the ‘bigger picture’ of education in Christchurch but some prefer to mostly focus on what is good for their own particular school. Adding fuel to the fire is that some schools have been rebuilt with flash new ‘modern learning environments’ while others are going to have to wait years to get the same treatment, or won’t at all. How do those in Christchurch schools view the Government’s response to the educational problems caused by the earthquakes? As a mixed bag but generally with scepticism. Putting schools into voluntary clusters was a positive move but one that was overtaken by the ‘reorganisation’ of Christchurch schools. This revealed an appalling lack of consultation and was also a communications fiasco. One principal described ‘watching grown men cry’ as principals realised that they had been gathered together to tell them which of their schools were to be ‘winners’ or ‘losers’ after the quakes. The Interim Response Fund has worked quite well for getting support with some children with extra needs. But the specialised psychological, speech and language and occupational therapy help that children need is hard to access. The Ministry isn’t seen to have the answers to ‘mainstreaming’ children with special needs yet the McKenzie Special School has been closed. Some schools have staffing levels guaranteed as their rolls drop off before closure. This is a great arrangement in vulnerable communities. But others don’t have the same deal. It leaves some teachers preoccupied with looking for replacement jobs. An extraordinary amount of school leadership time has needed to be spent on matters to do with buildings, grounds and services. Prefabs come and go. Classrooms are deemed unserviceable and then suitable. Regular ‘5YA’ funding for upgrading buildings has been discontinued during the rebuild. I think we should admire the efforts being made in all Christchurch schools and not become overly distracted by the shiny new developments in some of them. The context of earthquake recovery is bringing new opportunities but primary education in Christchurch is unlikely to be out of the woods anytime soon. The schools still need more support in all sorts of ways. Extra staffing, more specialist support and more attention to inequities within the educational market that is continuing to evolve in Christchurch would all make a difference. Professor Thrupp works at the University of Waikato and has expertise in Social class and education; the impact of managerialism and performativity in schools; school choice and competition; international policy borrowing; contextualised approaches to educational leadership. Someone asked for a map like this via twitter. It is not the prettiest and it is not the biggest. But it should give you a rough idea of where the closures map out across Christchurch (as well as the reprieves and the new schools). There is a map up on stuff, but it doesn’t show electorates. I can’t promise it is 100% geographically accurate, but I’ve tried my best. Within the next two weeks Hekia Parata will be charged with announcing the fate of several dozen Canterbury schools. Consultation on merger and closure proposals ended just before Christmas and Parata supposedly spent her extended summer break reading them. While all of those schools wait on tender hooks to hear their fate, Parata decided today to announce the government’s plans to open six brand new schools in Christchurch. Talk about a slap in the face to all of the schools still waiting to hear what the future holds for them. Nobody doubts that significant change is required. The population has moved around in Christchurch, and as a result some schools have shrunk to the point where they are no longer viable while others are bursting at the seams. But there is a way to do this. It starts with respect for the school communities affected. Shepherding all the principals and BOTs into a hall and giving them colour-coded name badges to indicate whether they were closing, merging, or remaining wasn’t a great start. Announcing the opening of new schools before telling the existing schools of their fate rubs further salt into the wounds. Hekia Parata has a difficult job to do, but she seems determined to make it even harder for herself. Her handling of the Christchurch schooling situation has demonstrated arrogance and a total lack of respect. The people of Christchurch deserve better. It’s a simple thing to do but a huge gesture of support. 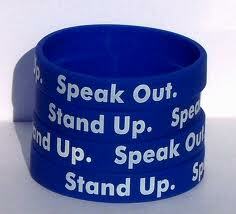 Rally your co-workers, why not get your whole school or workplace on board? People are most welcome to copy and use this. If you would like the meme as a higher resolution publisher file, just message me here or on the facebook page and I will organise that for you. Education Minister Hekia Parata would like to thank the 35 school communities in greater Christchurch who took the time to meet with her over the last two weeks. Ms Parata visited 35 of the 37 schools proposed for closure or merger as part of the Government’s Education Renewal Plan. “I would like to thank those schools’ communities for their engagement, generosity of spirit, and commitment to their children’s educational future. I got a real sense of each community and their hopes and plans for their children’s education. “Throughout the meetings, some schools were emphatic that they did not want the timeframe to be extended, others wanted it to be extended to various times, and one school asked for a 5-year moratorium. Of the 35 schools, there was no consensus. Ms Parata says she has decided to extend the consultation timeframe for the Aranui cluster only. 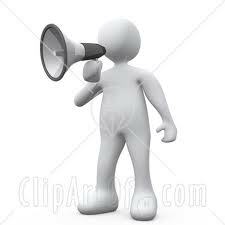 All other schools’ submissions on their proposals are due on the current timeframe of December 7, 2012. The Ministry of Education has already received submissions from three schools. The Minister will advise boards of her decisions in mid-February 2013. 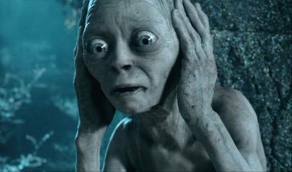 Work on the cluster plans is not due until mid-2013. Of the 215 schools across greater Christchurch, 13 are proposed for closure and 18 for merger. It is also proposed five Aranui schools will form a new Year 1-13 campus and two Banks Peninsula schools will become attached to the Akaroa Area School while remaining on their own sites. “Our Government has committed $1 billion to rebuilding the education sector in greater Christchurch over the next 10 years. It’s not simply about putting back what was there, but focusing on what can be done better. There is every opportunity for Christchurch to become a leading education city,” Ms Parata says. Manning Intermediate, at the school hall, Thursday the 8th Nov, 7-8 pm. 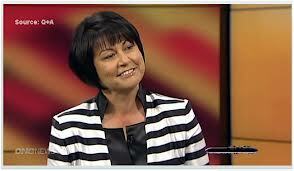 Hekia Parata will be on Newstalk ZB this Wednesday, Nov 7, from 10am to 11am to discuss the shake-up to our schools. She will take your questions by phone or email. You can call in and speak to her direct, or email your questions. mikeyardley@newstalkzb.co.nz – Phone number – 340-1098 or 0800 80 1080. Do let me know (in the comments below, on the Facebook page or on Twitter) of any other meetings or events I should add to the list. The Minister of Education has spent much of her time, notably on Q+A and during Parliamentary Question Time on 16th October and 17th October, dancing around questions and offering responses that fail to address the actual questions. 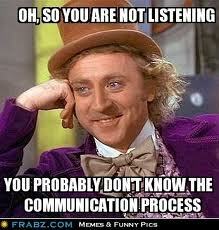 Even the speaker of the house seemed exasperated on a number of occasions, trying to get a straight answer out of her. In my experience, people who answer in the kind of way Ms Parata does have one of two problems – they are either not very bright and do not understand what is being asked, or they understand only too well and do not want to give the answer. Just about everyone is aware that there were errors in the original information upon which closure/merger/relocation decisions were based. Now it transpires that even more errors have been unearthed. “It is concerning that new information is only now coming to light. This is information that should have been given earlier if school principals and their boards and communities were to have any meaningful dialogue with the Government” said NZEI President, Ian Leckie today. Sorry, Did I Say Flexibility? Geotechnical information has been passed on just this week, two weeks into the consultation process. It is understood ministry representatives will meet schools individually next week, three weeks into the six-week process. Schools are still waiting on replies to requests for information under the Official Information Act. (One school, at least, has had its request denied). Despite all this, and despite repeated assurances from the Minister, Hekia Parata, that she is listening and the consultation is genuine, no flexibility will be given to Christchurch schools fighting for their survival. No opportunity for extra time, support or help in any shape, way or form in fact. Yes, that sure sounds like they’re listening. Sure sounds like they’re flexible. Christchurch is suffering. That’s the fact of the matter. 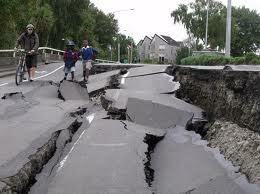 The quakes have left behind huge ongoing problems and a stressed and exhausted people. Health and alcohol problems are on the rise as time moves on and issues are not resolved. According to an article in Scoop today, “Chris Mene said proposed school mergers and closures affected families in the ”most deprived and vulnerable areas.” and “Andrew Dickerson said the ”appalling performance” of the Canterbury Earthquake Recovery Authority, the Earthquake Commission and insurance companies would take its toll on people’s mental wellbeing.” Andrew might well have added The Ministry of Education to that roll-call. Just being upset or angry is not going to help. Action is needed. The boards of schools in greater Christchurch proposed for merger or closure will have until 7 December to carry out consultation with their local communities and report back on the proposals. Find out where community consultation evenings are taking place – go along – see what you can do to help. At Chisnallwood Intermediate, a community consultation evening is to be held in the school gymnasium on Wednesday 31st of October at 7 pm. They are asking for everyone to attend and support them. They have invited politicians, education ministry people, media, community boards, etc. It would be astounding to have a high community turn-out to canvass opinions and show the government that this matter is of huge and high importance to the community. And if you know of further events, feel free to add details or links in the comments below. Proposals for state primary and intermediate schools can be found on the Shaping Education website – http://shapingeducation.minedu.govt.nz. 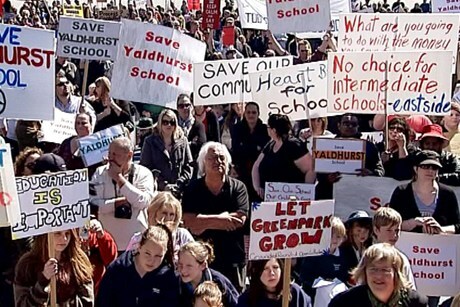 Christchurch Schools – Are They Being Used As Guinea Pigs? of closure and consolidation of schools” said David Shearer. and we’ll soon be seeing school mergers and closures nationwide. I really and truly hope the consultation is genuine, but to be honest, I’m a little scared. I’m sorry to have to write home about wee Hekia so soon after my last note, but her behaviour has not only failed to improve but appears to be getting worse. In this last week she has shown very poor manners to her hosts, with belittling comments, demeaning behaviour and downright rudeness. This really is a huge concern. She doesn’t seem to have any concept of respecting others, and instead mocks them and makes fun of them at every turn. It is not a way to build meaningful relationships and is causing a lot of distress for her peers. There is still also serious concern that she will not meet the standard for listening and responding appropriately, as she constantly fails to reply to the questions asked and even seems to find her shenanigans funny. She says she does listen to what other people say, even if she doesn’t do what they ask, but the majority of her playmates say this is not the case and that she does what she and just a few of her best friends want, no matter what. In numeracy (maths), she and her group have made many factual errors, even failing to achieve in simple addition, but will not accept that their work is faulty, and instead find it amusing to ignore and often mock feedback. It really is the most defensive and obstructive behaviour, and this lack of self analysis and goal setting is stalling her chances of improving her performance. Because of all of these many very serious concerns, people are asking whether we can call new class elections as they are not sure that Hekia is really representing them very well or has their interests in mind. There are also some very serious accusations of lying surrounding Hekia and her friends, that need to be investigated carefully. I’m sure I’m not the only one who watched Lesley Longstone on Campbell Live tonight and wondered why no-one in charge of the Christchurch schools proposals can give a straight answer. To be fair, Ms Longstone at least looked concerned and admitted there were some errors, which was far less disturbing that Hekia Parata’s interviews this week where she’s discussed Christchurch with a maniacal grin on her face like it’s some hilarious in joke and she pities her interviewers for not getting it, all the while refusing to accept any mistakes have been made. Well here’s news for you, Ms Parata, this has been a debacle from the start, with more errors than a year 3 spelling test. the Ministry announced 18 schools to close – the data shows 20. 22 of 27 schools say the data on their school is incorrect. Burnside Primary is wrongly listed as having 50 buildings, all of which are earthquake damaged. It has five. Burwood and Greenpark are also listed as having more buildings than they actually have. Roles and population figures are out of date. The number of classrooms schools have is reported wrongly – sometimes 50% out. Schools such as Manning and Aranui have brand new classrooms incorrectly listed as damaged. Whole clusters are incorrectly listed as having 100% damaged buildings. Burwood’s long jump pit wrongly identified as liquefaction! The whole thing beggars belief. These are real people, not just data points. They are real communities, with real stresses and very real concerns. 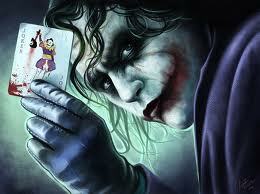 And it is nothing at ALL to grin about that the whole affair has been dealt with so incredibly badly. From the way the information about proposed changes was given to schools, to the fact that so much of the data those decisions were based on is vastly incorrect, the whole thing just stinks. 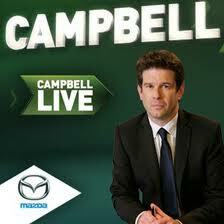 See Campbell Live’s full report here – it’s well worth watching. The Christchurch education sector has now experienced its biggest aftershock. 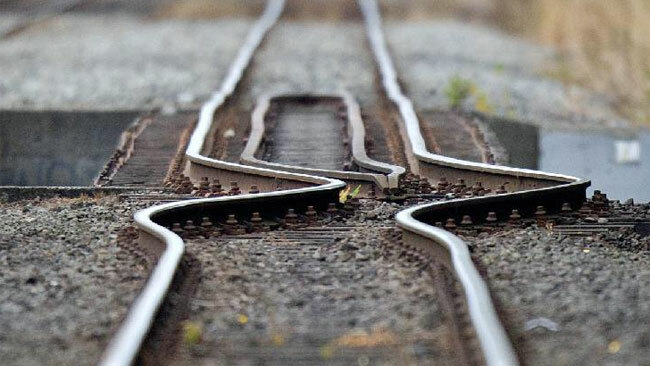 Having shown true strength in the aftermath of the tragedy of a natural disaster, it now needs to respond to an educational renewal plan for the greater Christchurch region that challenges the integrity of its educational communities. Whatever emerges as the educational renewal plan for the greater Christchurch region, it must reinforce the strength and connections early childhood services and schools have established with their local communities. As we know, this has been the hallmark of numerous international and national educational successes. 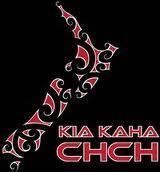 – Māori medium options in partnership with whānau, hapū, iwi and communities. In support of our Christchurch colleagues and learners, the Teachers Council urges all teachers and professional leaders to engage in the consultation in good faith. It may be trite to say “it takes a village to raise a child”, but it remains a reality. We have not only numerous examples of the positive contribution and critical involvement of the community in our early childhood services, kura, primary and secondary schools, but a body of sound national* and international research findings in this area. Any educational decision about a school or early childhood service in the greater Christchurch region must involve the views and perspectives of its local community. Article quoted from Kaimanga Issue 82, dated 29.9.12, received by email. Christchurch schools have been given an outline of the timing for the extensive consultation promised. Schools whose boards are closing voluntarily must tell the ministry by October 26 2012. 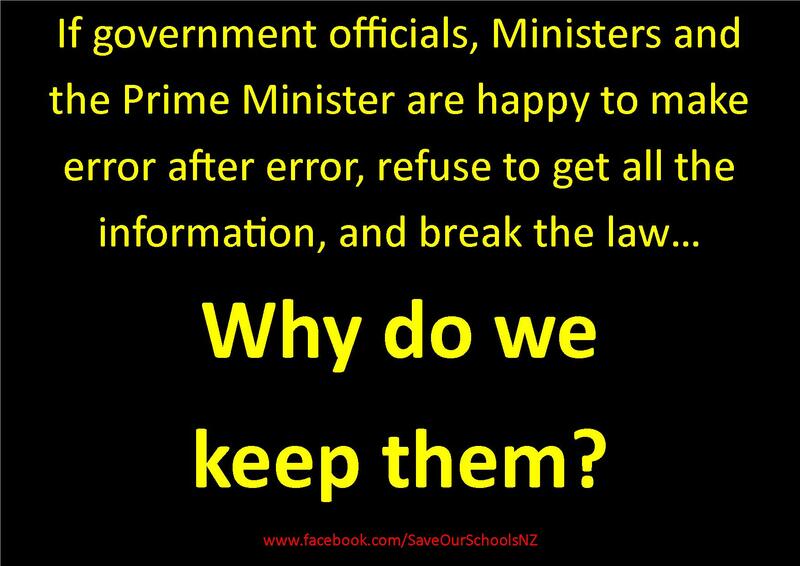 7th December 2012 is the last date by which they must tell the Ministry of Education what they think of proposals. 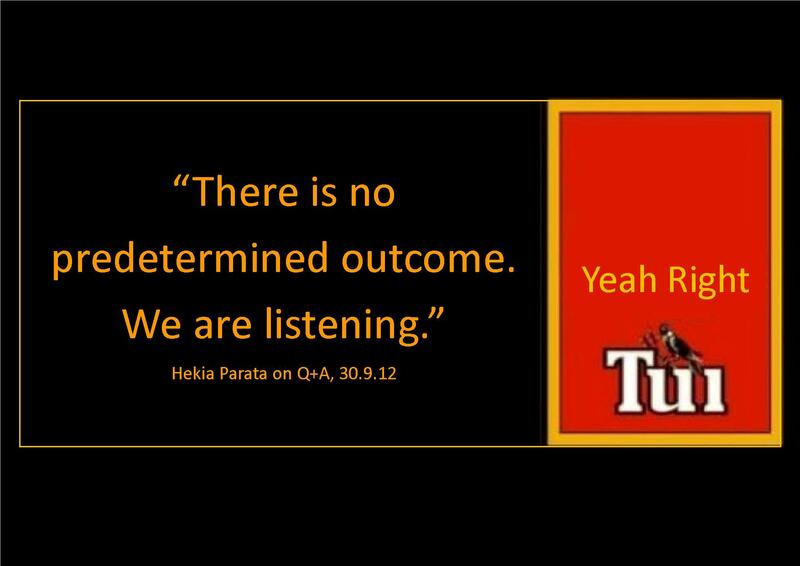 February 8 2013 – the date by which the Ministry of Education will get’ feedback to Education Minister Hekia Parata. 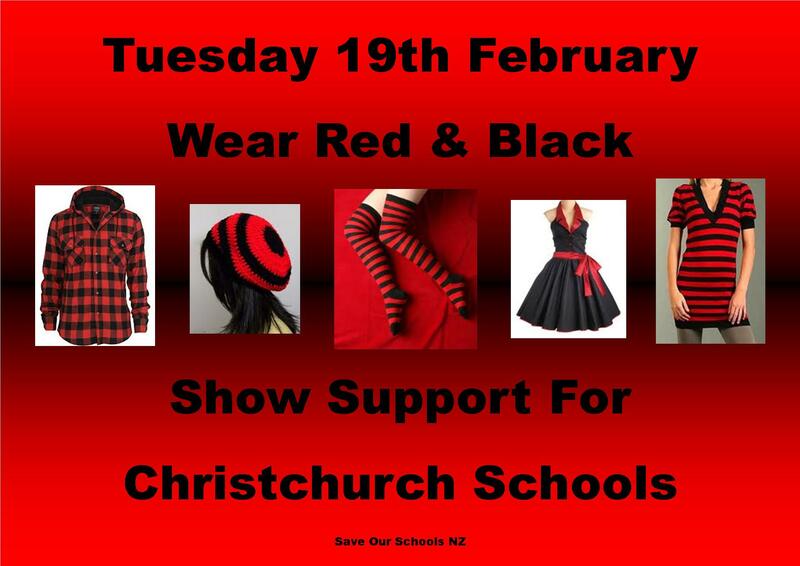 February 18 2013 is the date that school boards will be told of Hekia Parata’s decisions. If alternatives are to be considered, there will be a timetable set for consultation on those alternative proposals. If a school board wishes to appeal the decision, they have a 28-day response period, during which boards must provide information or reasons why their school should stay open or not merge, by March 22 2013. April 5 2013 – formal announcements on all closures and mergers are expected to be made on this date. Put the dates in your diary, people. Good luck to those choosing to fight.